"Poor lion is in love, trust me he is in love, she is cute, even from her shadow, she doesn't want to give me space." 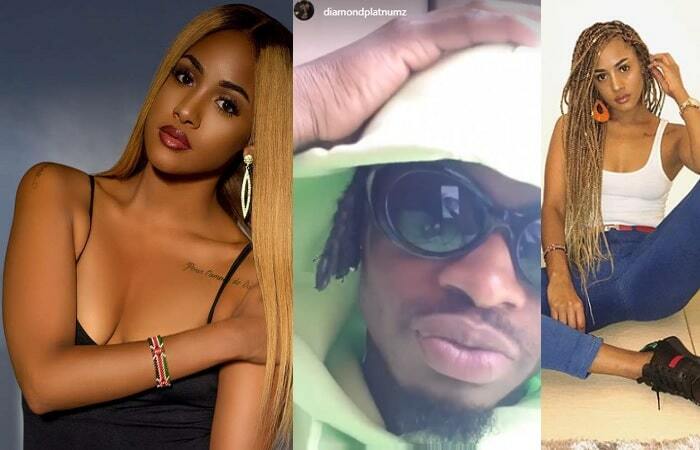 Those are the words Diamond Platnumz used while announcing his new found love, Tanasha Donna Oketch aka Zahara Zaire, an NRG Radio presenter, model and recording artist. "They never took me seriously when I needed them, they took me for granted, they claimed that am a player...Ciao." "I love you Tanasha," The Katika singer wrote. They never took him seriously seems to be a serious statement, but who are they? Zari is certainly not among them if the two children the singer had with her are anything to go by. Love is the most abused word lately, but looking at how the singer spent his time with the radio personality at the Mtwara beach in Tanzania, the 'African Beauty' singer could be in love this time. As the two walked along the Tanzania based beach, he poured out his heart in a sand 'I love you' message and words like; 'She is cute even from her shadow' further confirm that the singer is in love. No doubt, Tanasha Donna equally has a light complexion, which is the number one quality that cuts across the singer's old flames. Did Tanasha Donna respond to the singer's call for a Manager of his new mansion? Is she ready to relocate from KE to TZ? Is he in love this time around? Only time can tell. 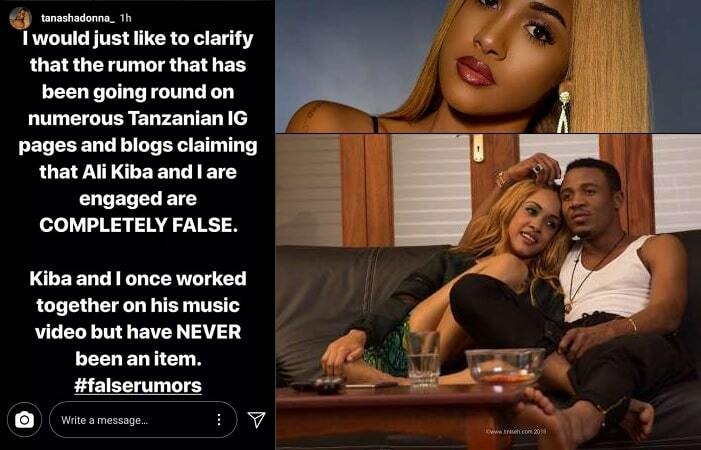 Donna was early in the year linked to Ali Kiba, who for the record does not get along with Diamond Platnumz, but she came out to dispel those rumors and in her message, she clearly stated that; "Kiba and I once worked together on his music video, but have never been an item."